Expand search to view more listings in and around Topeka. See more offices in and around Topeka. Offices.net has 1 Topeka executive office building currently available for occupation at short notice with flexible rental terms, without the commitments and high overheads of conventional commercial real estate lease agreements. Our well placed offices are situated in prime Topeka, KS business locations and offer an extensive range of services and facilities. The fact that Topeka is the capital city of Kansas has had a large impact on its economy and the city's largest employer is the State of Kansas. The predominant industries in the region include social, health and educational services along with retail trade. Our service was created to help companies find new premises with as little hassle as possible. Flexible contracts and competitive pricing allows buinesses of any size and budgetary requirement to find a location in Topeka that is ideal for them. We work hard to ensure that the entire process is as simple as possible for our clients. Every office on this site has a page with more information, which lists the features offered by each building. Click any of the offices shown above to find out more info, and if anything you need isn't obvious please contact us and ask. We would love to help you find your ideal new offices. 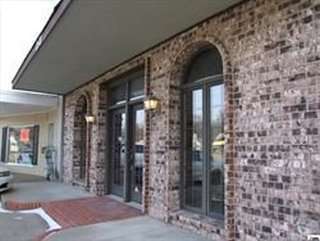 Simply select one of the offices to rent in Topeka shown on this page. The office space listed on Offices.net is in an excellent business location, and is available for immediate lease on flexible terms. Just get in touch using the number or form above and we'll be more than happy to recommend suitable business centers and commercial office buildings in and around Topeka. All we need to know are the essentials; the number of desks you need, your preferred locations and an idea of your budget.